First thing’s first: the cost of living in San Francisco. The price of apartments for rent have skyrocketed in recent years, jumping in some areas as high as 30%. While the most popular areas such as the Financial District and Jordan Park/Laurel Heights now boast median rents upwards of $6,000, less known areas such Lone Mountain and Van Ness still saw “only” 10% increases in rent. The lesson learned: when your search leads to a good one (and if it’s with utilities included be prepared to kill for it), then plan on sitting on it, get rent control, and stay for the rest of your life. Basically, when moving to SF, it's pay to play. Luckily, living in San Francisco grants you one of the most unique, diverse, and nuanced games in the world. San Francisco holds something for everyone. Music lovers no doubt already know about events such as Outside Lands in the Golden Gate Park or Treasure Island that takes place on that weird island right before the bay bridge that seems like an abandoned military housing facility. There’s Hardly Strictly, the free bluegrass festival which your wallet will appreciate (also takes place in Golden Gate). Then again, there's some amazing talent just going through the corridors leading down to BART. But with so many music venues, bars and restaurants with live acts, the only way to find the good stuff is by word of mouth, exploration and a lot of time on Yelp. For those moving here from another state, prepare to pack light. Even the luxury condos are small, so perhaps start by looking for a studio, keep your load light. If you were planning on staying home all day then maybe SF might not be the best fit anyways. Living in this city is movement, adventure and exploration. Learning your way around the muni and BART (call it BART, not the BART otherwise plan to stick out like a sore, but cute, thumb), how to efficiently get around on a bike without killing yourself on the city’s hills, when it’s best to use a Lyft, Uber, or cab instead of the other, is going to be fun. You’ll love it. There are more neighborhoods than you could imagine throughout the city and each have their different quirks and idiosyncrasies. Some local favorites are North Beach which is close to the Financial District and Chinatown. It’s the kind of place where it can still feel relaxed even though everything around is in constant flux and you can stay just within your neighborhood to do just about anything. There’s Mission Bay which has seen several billion put into developing new high-rise condos and lofts near its many trendy restaurants and bars. It’s received high ratings and reviews from the city's younger professional and tech crowd. For those seeking a more laid-back area that works better for family-living, try outer Richmond and outer Sunset (both very pet-friendly being right next to Golden Gate Park) where there are houses and homes for rent in plenty and are slightly more inexpensive than other areas. Everyone knows that even an apartment finder is going to have a hard time finding anything that remotely qualifies as cheap and best of luck if you need an all bills paid unit. It really comes down to word of mouth and using the right guide. Good luck with living in San Francisco! 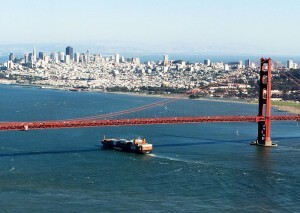 While the San Francisco cost of living is one the highest in the country, it's well worth it. My wife, 10 lb dog, and I loved this area! Being in Cow Hollow but past Fillmore (towards the Presidio), you are within seconds of the restaurants, stores and bars of Union Street (and a 10 minute walk from Chestnut) but you don't get the street noise which can be loud, especially. Great spot to have a dog too--fantastic walks near the apartment. This place is pricey, but worth it for a special occasion. Make sure you check out the sizzling beef! Lived here for 2 years and loved it. Less than 2 blocks to just about everything you need - Crunch Fitness, couple coffee shops, great restaurants, convenient to AMC Van Ness movie theater, and close to a couple nice parks. Highly recommend. Close to Chrissy Field and the Presidio. Views of the Palace of the Fine Arts and Golden Gate Bridge. Tons of good places to eat and drink on Chestnut. Easy access to N & J Muni lines so very easy to downtown, plus on the edge of Lower Haight, Castro, and Mission. friend lives here. easy access to all the bars in the marina. seems like a good location. I lived at 1455 Greenwich for a few years and it was an excellent building. The landlord/building manager was really friendly and helpful, and I loved the apartment and location. RentLingo is your trusted apartment finder in San Francisco. We hire local experts, such as former property managers and locators to anonymously tour and consistently rate and review every available place. They share their honest and unbiased perspective with you, so you know how every rental ranks in the area. Because our experts tour every property, we can offer consistent apartment ratings across every region. So unlike finding a Backpage or Craigslist rental, you can trust these apartments are verified and trustworthy: whether it's a cheap studio or a one bedroom with all utilities paid all the way up to a nice house for rent or a luxury condo.